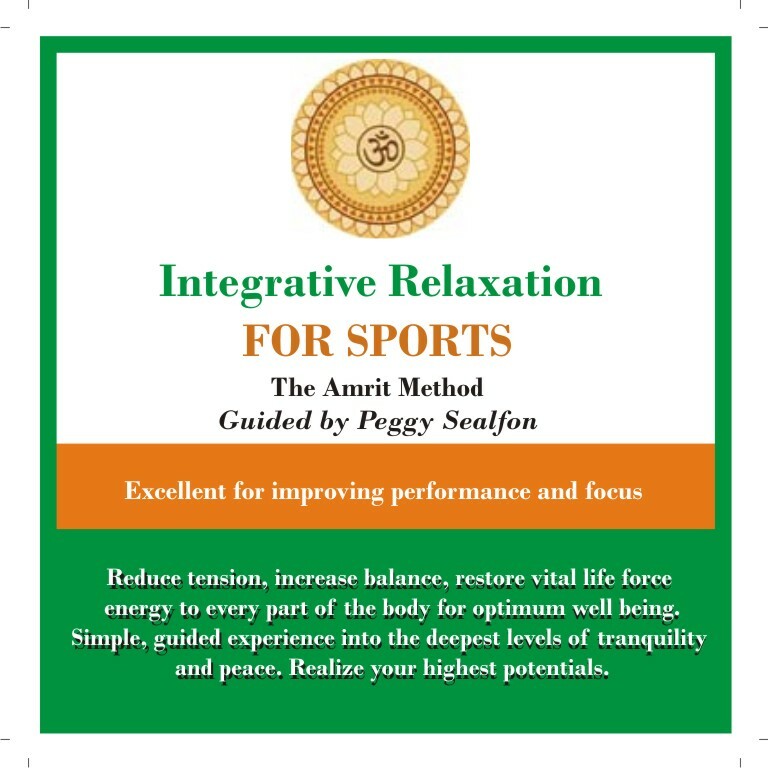 Integrative Relxation for Sports CD in the Amrit Method will increase balance, stamina, restore vital life force energy for optimum well being and performance. A simple, guided experience into the deepest levels of tranquility and peace to help you realize your highest potentials in golf, tennis or any other sport...and in life. 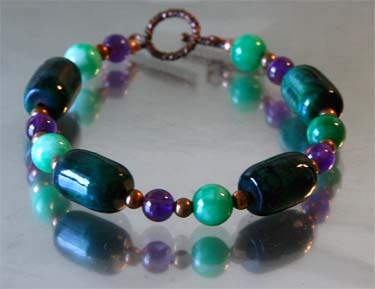 This bracelet can enhance athletic performance by increasing physical energy. 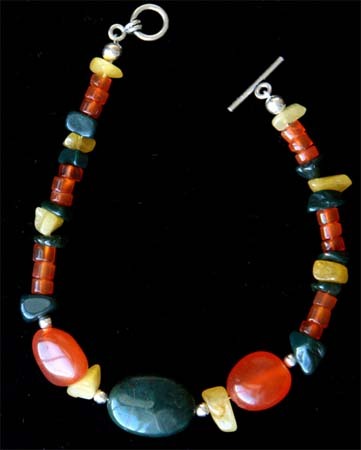 It is made with Carnelian, Yellow Calcite, and Heliotrope (bloodstone).